At St. Joseph's Hospital, Saint John NB on January 17, 2019 Mr. Michael Wayne Saulnier, beloved husband of Anna (Lee) Saulnier of Utopia NB. Born at Saint John NB on August 13, 1959 he was a son of the late David and Rena (Leblanc) Saulnier. 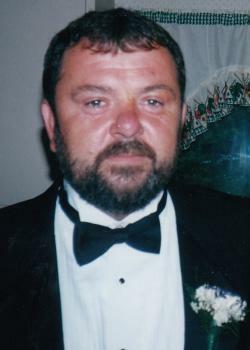 A loving husband, father, grandfather and brother, in addition to his loving wife Anna, he is survived by his son: Derek Saulnier (Jenna Skodje) of Grand Prairie AB; his daughter: Terra Saulnier of Saint John NB; his grandchildren: Blaire and Berlin; step-father: Joe Parisien (Jean Kirowac) of Saint John NB; four brothers: Carl (Linda) Saulnier of Garnett Settlement NB, Ralph Saulnier, David Saulnier and Bruce Saulnier all of British Columbia; one sister: Sandra (Per) Hoist of Denmark; as well as several nieces, nephews and cousins. In addition to his parents, he was predeceased by a sister: Susan Crandall; and a brother: Paul Saulnier. Prior to his illness, Michael worked at the Coast Guard Base in Saint John for several years before leaving to start his own painting contractor business. He was an avid outdoorsman who liked hunting and fishing. Mike also loved a little friendly competition as he enjoyed playing cards as well as a good game of darts or pool. He was known as a friendly and social guy with a great sense of humor and will be sadly missed by all who knew him. Resting at the St. George Funeral Home & Crematorium (755-3533), 26 Portage Street, St. George NB from where a celebration of his life will be held on Wednesday at 2:00 pm. Visiting at the funeral home on Tuesday from 2-4 and 7-9 pm. In Mike's memory, donations to the Canadian Diabetes Association New Brunswick Branch or to a charity of the donors choice would be appreciated by the family.